People running out of budget can excel their lives through DIY for sure! It is the handiest way to get the material and stuff you are in dire need of without causing any further load on our pocket! DIY furniture is now enjoying the extreme value of popularity and one the majorly used material that has given so much creative width to entire DIY world is the pallet wood! Pallets if used in a productive way can incredibly boost up the performance of your home and you can also access the ongoing trends of pallet furniture happily by going with 100% pallet wood medium! Today! 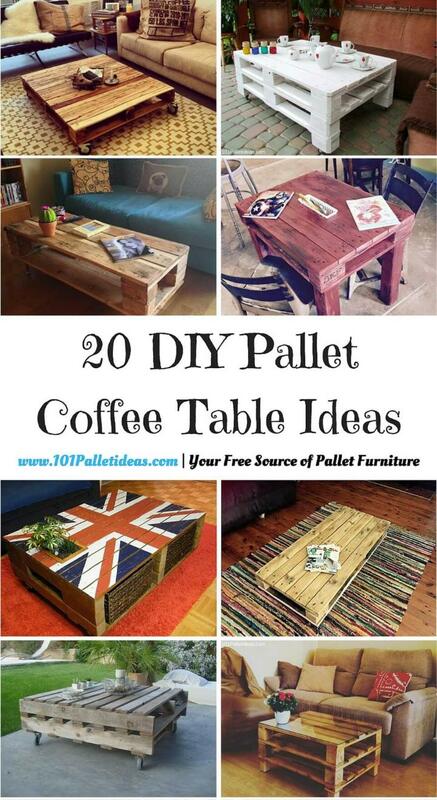 We will through some light on some genius achievements done with pallet wood which are here given as DIY pallet coffee table ideas, all these ideas points towards the most ingenious and innovative approaches to pallet wood furniture that yield to a different table design each time! 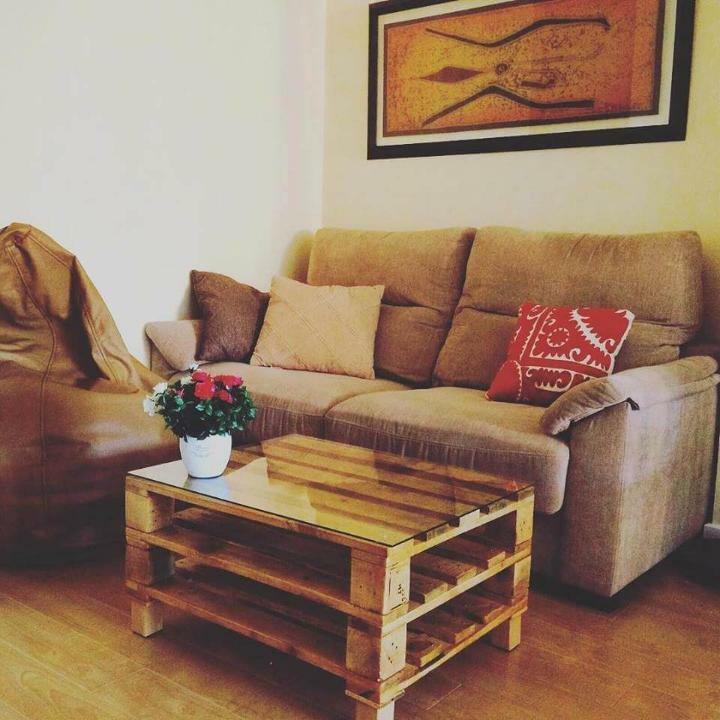 Coffee table has so much participation to our lives, that’s why we are sharing here this low-cost coffee table ideas and DIY Pallet sofa ideas for your outdoor and living room to not to miss out this elegant piece of furniture due to shortage of money and also as your hobby to make handy projects! Some cool suggestions have been given below in this respect! Just take a little visit of this showcased coffee table collection and get more ideas for custom construction of coffee tables at home! 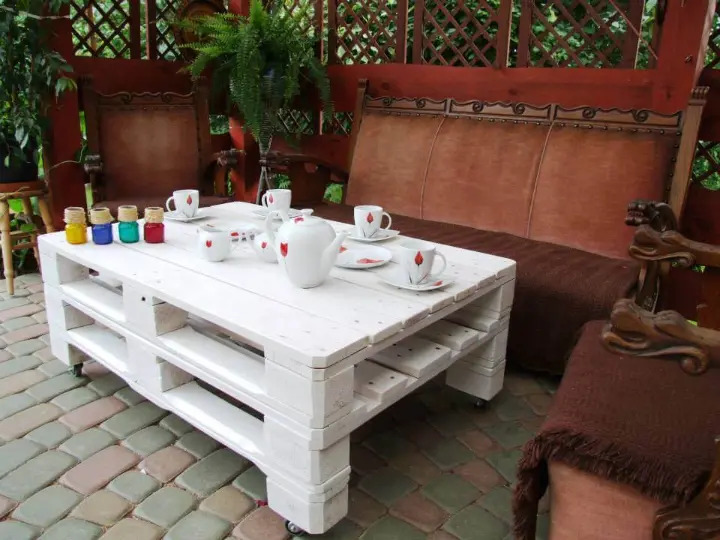 Create a productive bunk of pallets and employ the achieved structure as a patio table, do use a little paint for a modern glimpse or glaze! Table is having exactly the right dimensions to serve the seated people and hence would can be a part of any outdoor or indoor sitting plan! Checkout out this 3 pallet arrangement, it yields a featured and highly utilitarian coffee table design that has been finished with a glass top for instant vibe of modern furniture! 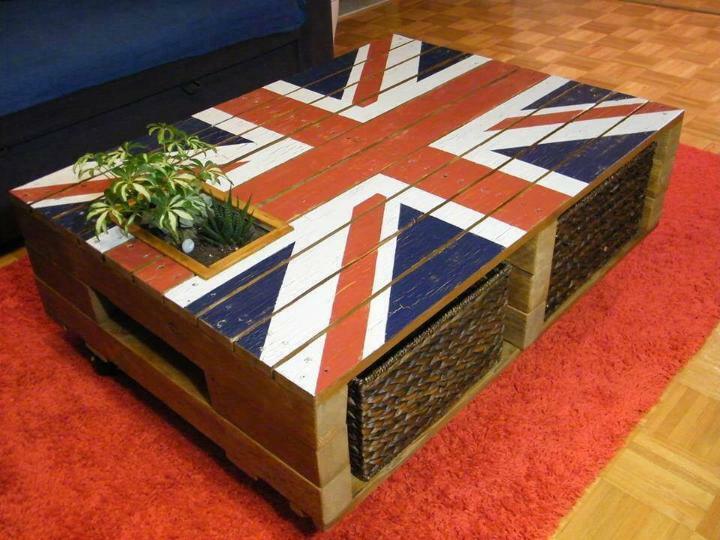 Build pallet coffee table with country flags, just as symbol of love for your country! Amazing way to express you patriotic emotions! Two baskets have also been fitted to pallet openings for storage purposes! 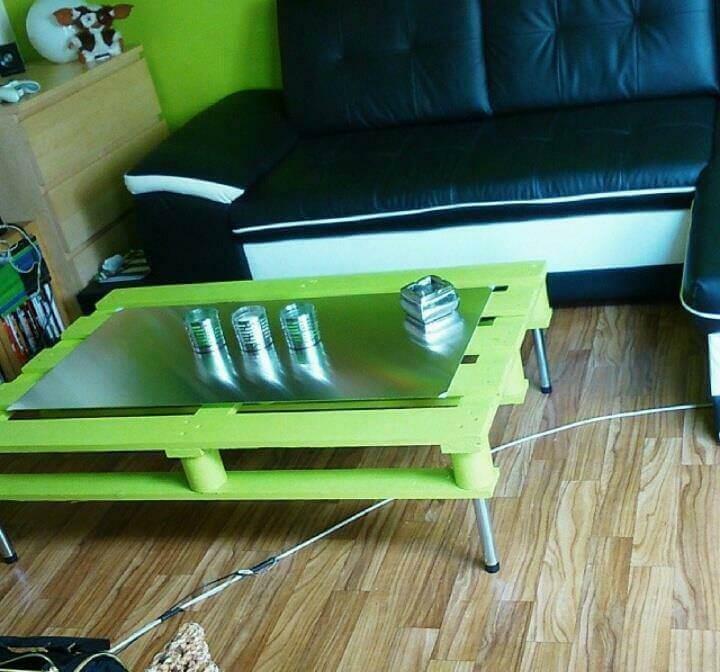 Green Pallet Coffee Table with Hairpin Metal Legs! Paint a custom pallet board size with a graceful paint shade and finish it with some elegant legs like metal hairpin legs selected in this case! Just give a glass top finish to let the table gain a elevated modern look!